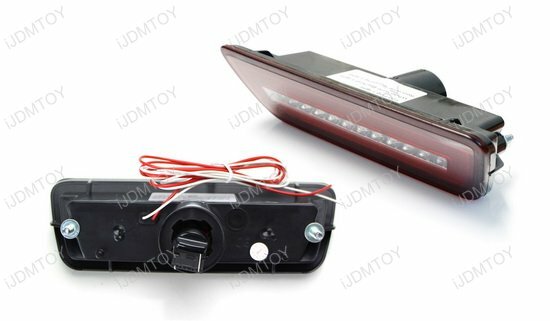 Q: What car is this LED assembly fit for? 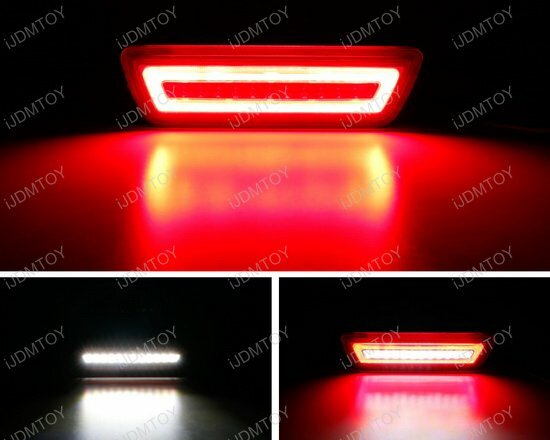 Q: How many LEDs is this LED rear fog lamp made up of? A: The 3-in-1 LED rear fog lamp kit is powered by 40 high powered SAMSUNG LED chips to bring a super bright lighting output. 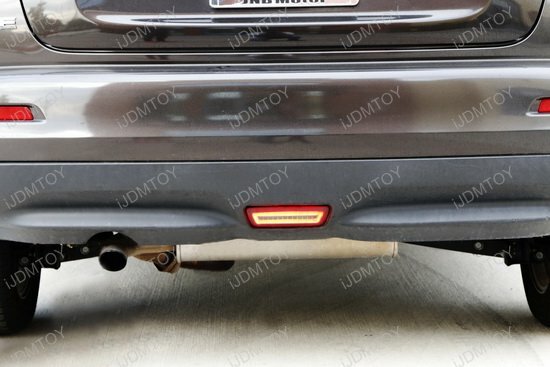 Q: What OEM part does this LED rear fog light replace? A: Our rear LED fog lamp assembly replaces OEM part number 26580-ED50A 7440 incandescent bulbs. 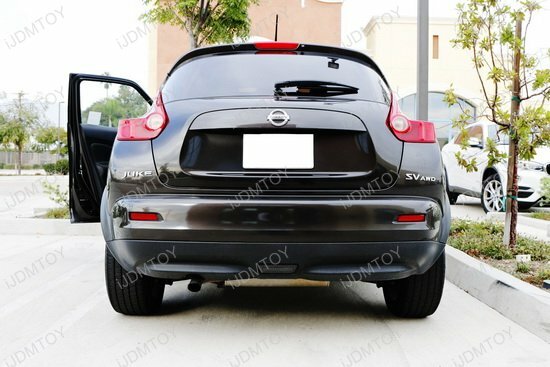 Q: What does this LED rear fog light have over the Japanese model? 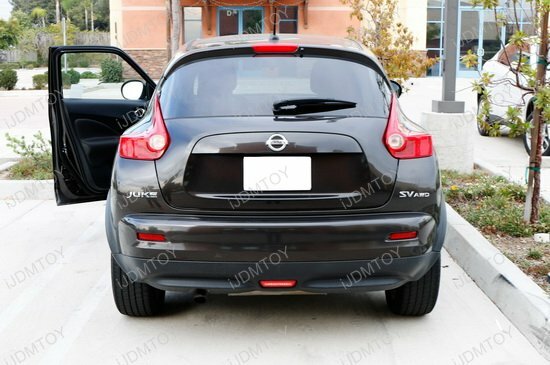 A: Our LED rear fog light has multifunctionality and LED lighting over that of the Japanese model. 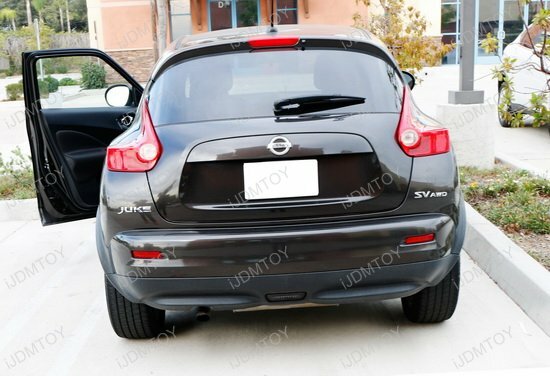 Rear fog lights come standard in every Nissan vehicle in Japan, however it is powered by incandescent light bulbs. 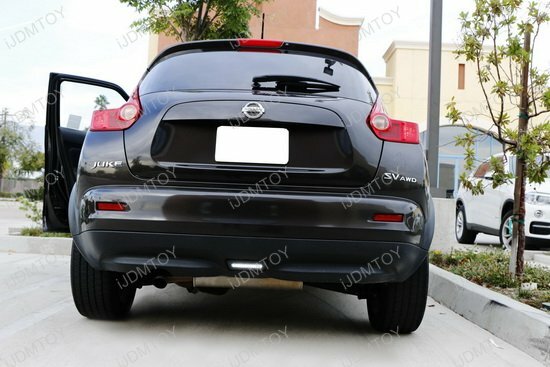 Our LED rear fog light is powered by LED light bulbs which makes it brighter and also serves as a back up reverse light and brake light. 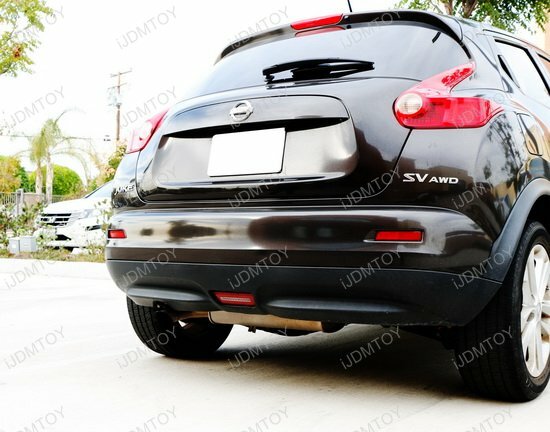 Q: Will I have to perform any modifications to install this rear LED fog light? 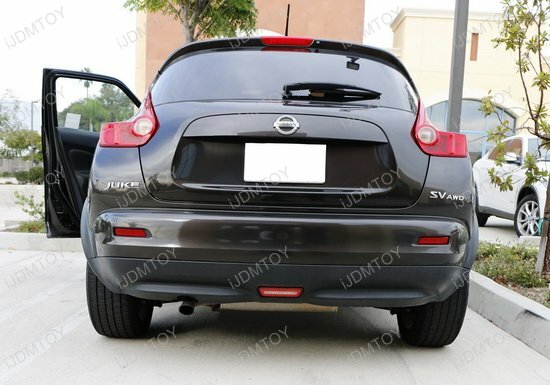 A: No modifications are required to install this Nissan rear LED fog light. 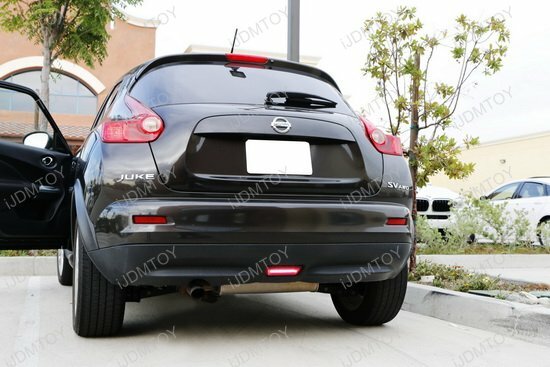 This LED light is designed exactly as its OEM counterpart to be able to directly fit your vehicle. 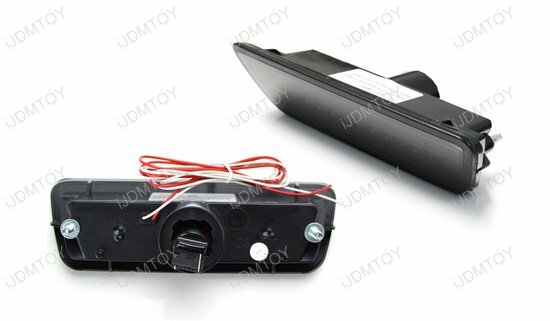 However, simple wiring actions are required to completely install this LED fog light. 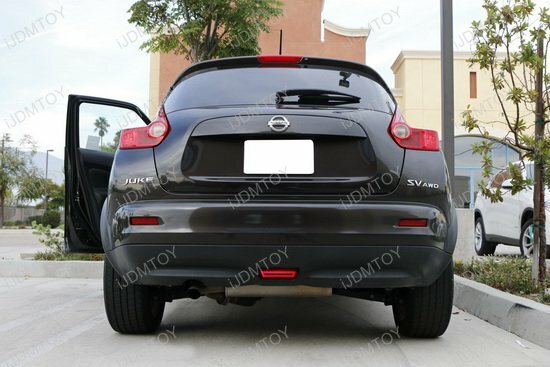 This page features one set of smoked lens 3-In-1 LED rear fog light kit for 2011-2014 Nissan Juke, 2014-up Nissan Rogue and 2015-up Nissan Murano. 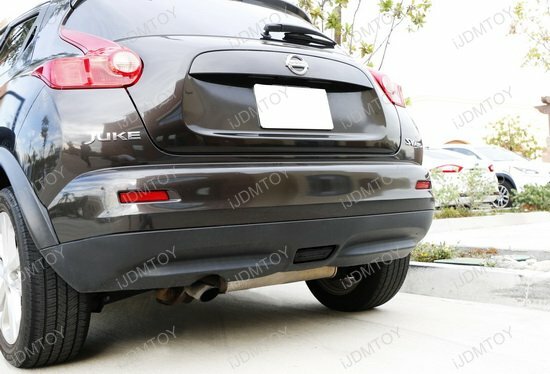 It will fit both the USDM or North American models without the rear fog lamp or replace the JDM or European models' OEM 26580-ED50A 7440 incandescent bulb rear fog lamp. This smoked lens 3-In-1 LED rear fog light kit is powered with total 40 pieces high power SAMSUNG LED chips with a super bright lighting output, functions for rear fog light, brake/tail light and backup reverse light features.